Richard Irwin (Belper, United Kingdom) on 28 March 2009 in Plant & Nature. From images I shot a couple of weeks back, I just liked the shape of this one. quel cadrage ! formidable !!!!!!!!! wow! belle! belle! absoloutely wonderful. Awesome! Love the background too! Lovely, colorful and nicely cropped. Ah yes, it is wide open time, Richard! 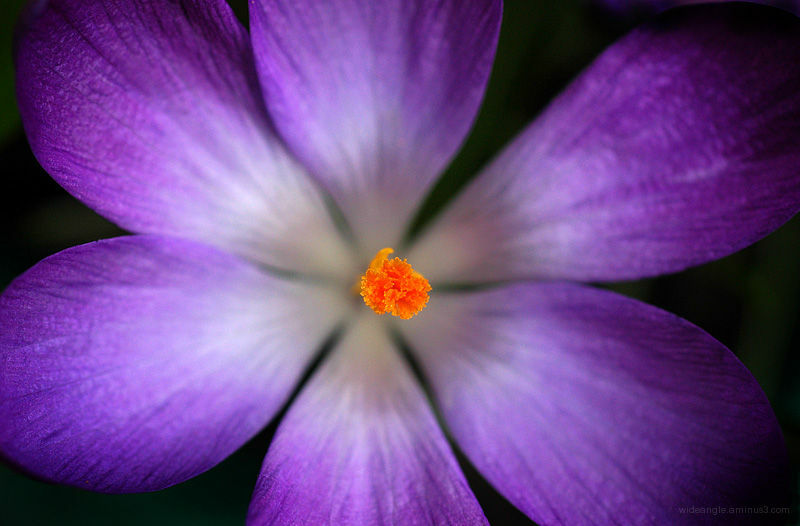 I got my last crocus photo yesterday. Most of them have died off as the daffodils have come on full blast. Lovely shot! A crocus ?? . . love the inventiveness of this and the sheer joy it shares. Wow, wonderful macro! Love the colours! Very dynamic colours, outstanding macro. A lovely one. Lke the good use of DOF and deep colors. I really like the different layers of depth. The way the edges and the stamen are in focus - I think its the stamen. Really nice. Very nice shot. The detail in the center and on the outer petals is fantastic. I like this one too, the colors and the composition are outstanding.